A Science Fiction Story Bundle from the collection There's a Sword for That. 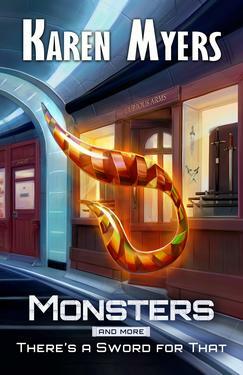 MONSTERS - Xenoarchaeologist Vartan has promised his young daughter Liza one of the many enigmatic lamedh objects that litter the site of a vanished alien civilization. ADAPTABILITY - The Webster Marble Deluxe Woodsman, Model 820-E, has been offline for quite some time. Quite some time indeed.